So you’ve managed to secure yourself a new role, but dreading telling your current employer that you are resigning. This is, for some, a great opportunity to tell your boss “where to stick it” but for others, it can be a nerve-wracking process that can drag on longer than needed. 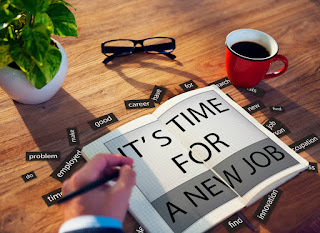 Firstly, make sure that your new job offer is the correct decision for you. Make a list of the reasons you wanted to look elsewhere in the first place and ask the question “have I explored all possible routes with my current firm”. Ultimately, you have to do what is right for you and your family. If you’re completely happy about your decision to move on, you will need to be prepared and act with professionalism. Make sure you have your job offer ‘set in stone’, and in writing, from the new employer and that you’re happy with the offer details which has been agreed. Check your existing contract and make sure that you know the contractual facts on your notice period. Finally prepare your explanation for wanting to move on so you can anticipate any relevant questions. The sales industry is a small world, and as much as you may be one of those candidates who can’t wait to tell your boss you’re resigning, it is imperative you do it in a professional manner. You may not have been treated fairly, or just didn’t see ‘eye to eye’, but be ‘the bigger person’ and leave with your head held high. Choose a quiet and convenient time to meet with your manager and explain your reasons for wanting to move on. Mention the positives of your time within their employment as your employer may well be an important reference point for you later down your career. Give them a notice of your meeting request, prepare your letter of resignation and detail how you are prepared to offer a smooth handover during your notice period. This is a great opportunity to note your reasons for leaving but in a controlled manner. Be sure to include your name, date, the person that it’s addressed to, notice of termination of employment and your signature. Keep it positive as this is the last reflection, on their personnel record, of you as a person. Be prepared for a ‘counter offer’. If you’re not wholly unhappy and your decision to leave was solely based upon money, then this could be an ideal scenario. However, once your employer knows you were looking to leave, it could have implications in the future, and you may have rejected an opportunity that you will later regret. Refer to your notes on why you have chosen to resign in the first place to ensure that you have the ‘peace of mind’ that you’ve taken to the right decision and have the steely nerve to reject any counter offers. If you follow these basic steps of resignation, you should leave on a positive note and stand a strong chance of a good reference for future employment whilst maintaining a professional reputation. You may bump into colleagues later down the line so you don’t want to burn any bridges. Liam is the Sales Recruitment Manager at Aaron Wallis and has been with the company for 5 years after having a career with the RAF; Liam has helped hundreds of Sales Professionals secure a new Sales role and ensures that Aaron Wallis runs smoothly.